"It is the tranquility and wonder I found in nature as a child that continues to fuel my passion for my art and my life". "There is a connection to a primitive time inside of me. I can’t explain it, it’s just there. I feel it in my heart and in my soul," Laurel Barbieri says. This is more than the wonder that Laurel experienced as a child wandering the forests surrounding her home in the foothills of Washington state's Olympic Mountain range. Then, the forest was a source of food and warmth, as well as Laurel’s private sanctuary. 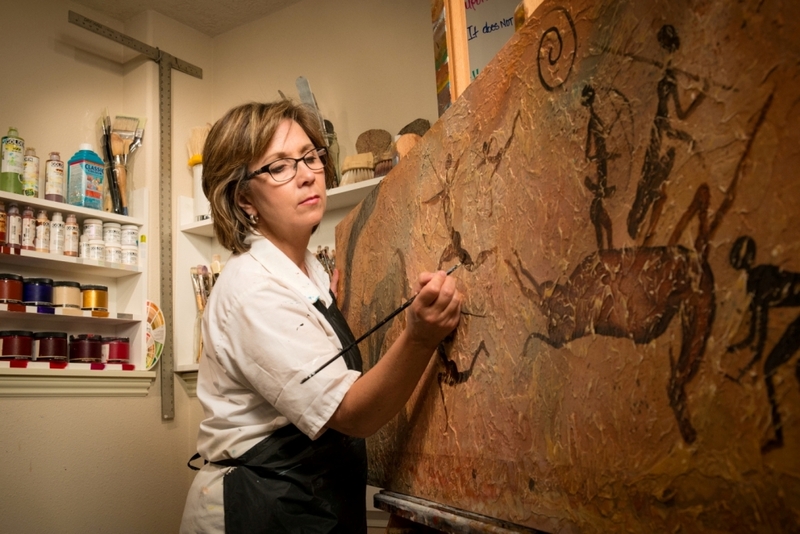 Now, it provides the sights, textures, and creatures that inspire her art, a visceral connection that's fueled by annual hunting expeditions in Oregon Hell's Canyon Wilderness Area and, most recently, a safari in Namibia, Africa. This connection is maintained on a daily basis as Laurel roams the five acres on which she lives and works in Portland, Oregon with her Australian Shepherd, Sadie. 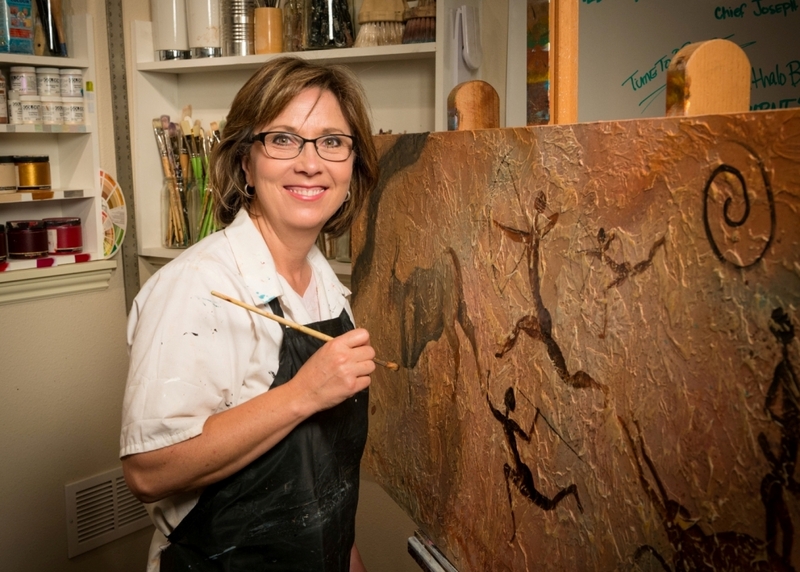 "After an intense painting session, there's nothing quite like escaping among the 120 foot cedars on the property," Laurel says. "It's so refreshing to listen to the wind in the trees and see the sun shining through the branches. When it's calm the birds are singing; when it's windy the movement of the trees inspires me. We even see an occasional deer or coyote. I go back to the studio reinvigorated.